I have spent most of my life in the woods starting with backpacking when I was 7 years old. That first trip was a portion of the Pacific Crest Trail in northern Washington. Growing up I hiked in any pair of available athletic shoes that my mother wouldn’t kill me for ruining. Year after year, hike after hike, were spent stomping around the wilderness with some type of everyday rubber soled average athletic shoe. Although hiking in those shoes proved to be comfortable for the way they fit, they were by no means waterproof, durable or had enough support. Fast forward twenty years and a few broken and twisted ankles, as I’m about to embark on my first backcountry hunt. Having a couple years of hunting seasons under my belt, I learned that leather shoes were a necessity. Call it ignorance or just being cheap, but when it came time for me to purchase all of the gear I needed to start hunting, footwear didn’t even make it on the list. I had an old worn pair of Romeo’s from my college days working construction and decided that they would suffice. But after a few miles I realized that they were neither supportive nor comfortable for the type of terrain and the distance I was planning on travelling. Prior to my first backpack hunting trip in August, I decided that I would splurge and buy a pair of Under Armour Gore-Tex hiking boots. I figured that $180 was money well spent when I was planning on traveling 9 miles into the backcountry. I chose the Under Armour boots because they resembled athletic shoes. They were comfortable, waterproof and had good tread. Hiking all over the mountain, my feet felt great. The one issue I noticed was when I was side hilling steep terrain. The ankle and side foot support of the boots wasn’t holding up very well. The more I wore them, the more they broke down. Eventually they lost their waterproof ability as well as support. The final nail in the coffin for the boots came when packing out the animal. The weight you carry when packing out an animal is more than most people experience in their lifetime and definitely more than the ankle support of my boots could handle. On my pack out, I stepped on a small rock that caused me to twist my ankle under the heavy weight of my pack. I heard a pop as I fell straight to the ground. I knew I was in trouble with more than a mile to go. Limping my way out I learned a hard lesson on that trip. Not all footwear is created equal. Everyone’s feet are different along with their activity level. There is no one shoe or boot to rule them all. Your feet are the means by which you are able to do things in life. You NEED to take care of them. Buying appropriate footwear based on your activity needs is paramount to the enjoyment of your endeavors. The month following my hunt I decided I needed a real boot. I chose to go with the Kenetrek Mountain Extreme. I figured if they were good enough for Randy Newberg, they had to be good enough for me. What I didn’t realize is that the stiffer the boot is, the less ankle flexion there was. This proved to be an overwhelming problem over the next year of use. When researching boots, I learned that most boot companies recommend at least 100 miles of use for a break in period. The break in period allows the leather and insole to form to your feet to provide the most comfort. So after I suffered silver dollar blisters on both heals during my deer and elk hunts that year, I had hoped that it was just the break in cycle. As the year progressed, I experimented with different combinations of socks and lacing patterns to no avail. I even tried mole skin prior to use. The last straw came when hiking up the same trail as the previous year, I started cramping in my quadriceps coupled with more silver dollar sized blisters on my heels. Leg cramps are unusual for me as I run 24 miles a week and make sure to train for my hunts. Something was wrong, and it had to be my boots. It was at that moment my hunting partner mentioned to me about how comfortable his Crispi boots were. Upon returning from our hunt, I instantly posted my boots for sale and searched for Crispi’s phone number. Being greeted by a super friendly and helpful person who was able to answer all the questions being thrown at them, I knew I was talking with a great company. After giving Crispi all of the details of how boots wear on my feet and the complaint of my quads cramping, the customer service operator recommended to me that I try their Lapponia. They explained to me that I was used to a shoe that had a lot of flex in the ankle and that is what was probably the root of my quadriceps cramping. The Lapponia wears more like an athletic shoe than a typical stiff boot. It is light in weight while not lacking the support or durability that a traditional hunting boot delivers. If you are used to wearing athletic shoes and prefer the fit and feel of them, then the Lapponia is for you. If you are tired of heel slip or if you prefer to have flexion in your ankles while hiking, then look no further. Not only are the Lapponia’s made of suede and nubuck leather, they are also Gore-Tex lined with a Vibram sole. A perfect combination that is made to last. One thing to note is that these boots run a hair large. I wear size 12 in everything else in life, but needed an 11.5 for the perfect fit. Removeable Footbed – CRISPI® Air Mesh. Outstanding Breathability and antiperspiration / anti-odor action. If you are interested in a pair of Crispi boots, you will not be disappointed. One downside is that not every state has a retailer for you to be able to try on their boots, but don’t fret. Their amazing customer service will help you out with figuring out what sizes and boot options to choose. You can find their boots at www.crispius.com or talk to one of their amazing customer service agents at 844-527-4774 (844-5-CRISPI). You can also find Crispi on Instagram, Facebook and YouTube. Thanks for reading this gear review. If you want to know more about the Lapponia’s and our experience with them, feel free to ask. 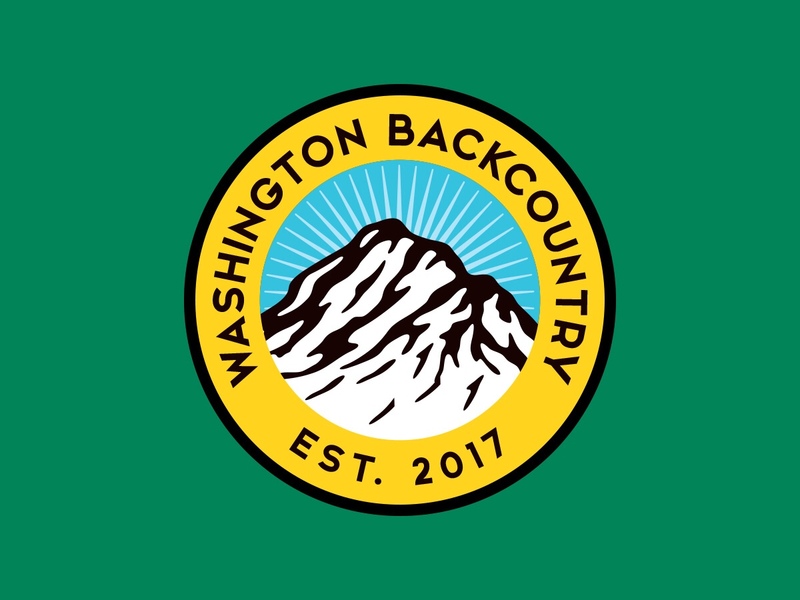 Don’t forget to subscribe to the Washington Backcountry YouTube channel as well as follow us on Instagram @Washington_Backcountry. Thanks for reading. I hope you enjoyed it.